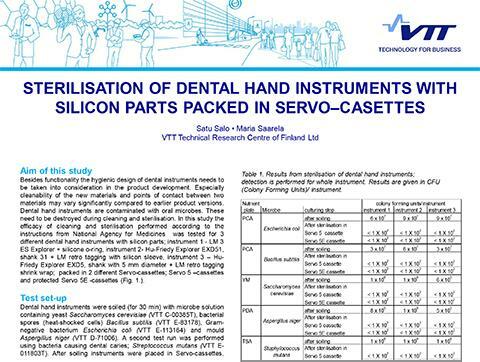 Use of instrument cassettes provides an efficient and safe way to process, sterilize and organize instruments in dental clinic by minimizing manual handling of individual instruments and rationalizing the maintenance process. 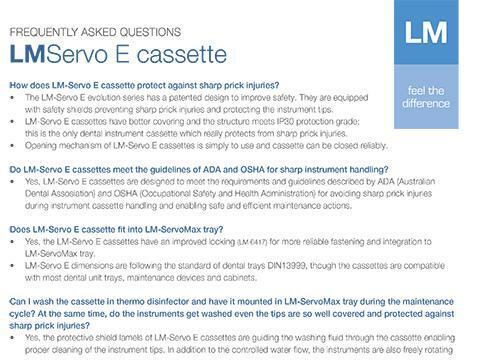 LM-Servo E evolution series cassettes provide a great combination of safety and hygiene for professional use, taking into account the clinicians, maintenance personnel and instruments. 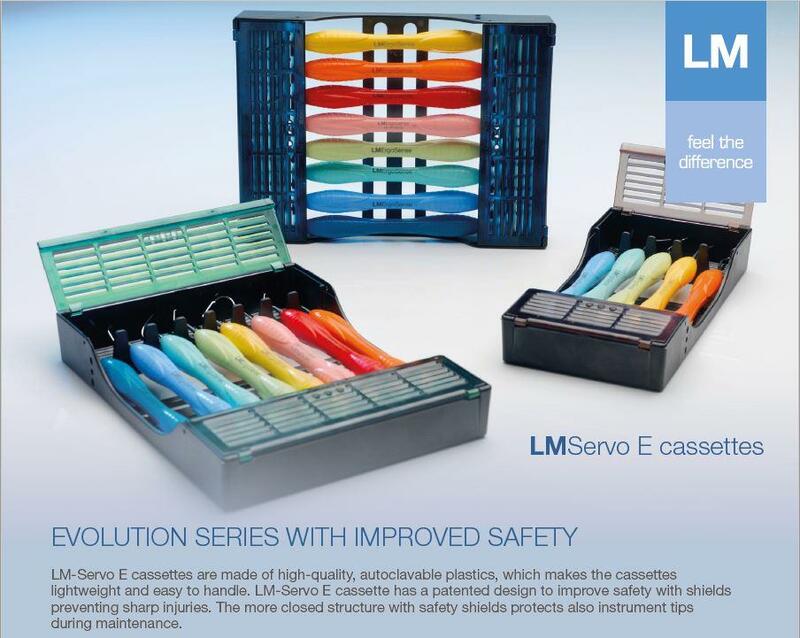 LM-Servo E cassette has a patented design to improve safety with shields preventing sharp injuries. 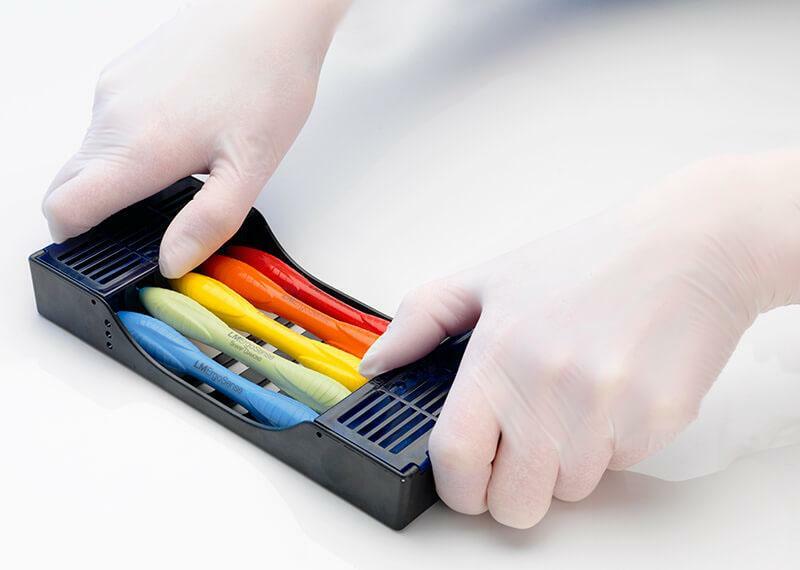 The more closed structure with safety shields protects also instrument tips during maintenance. 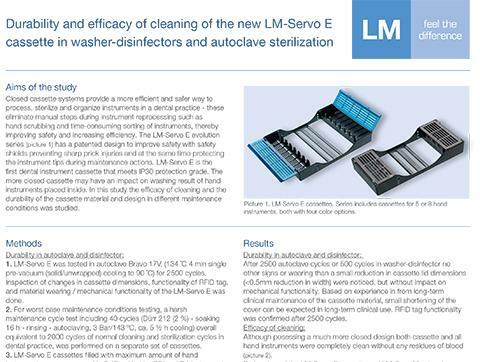 The patented design of LM-Servo E safety shield lamels guides the washing fluid through the cassette enabling proper cleaning of the instrument tips. 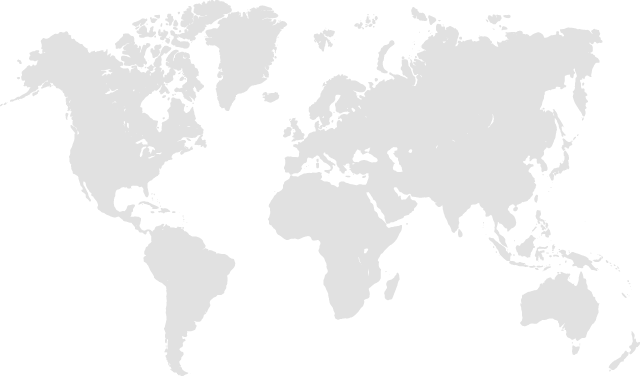 In addition the structure supports free rotation of the instruments providing complete cleaning and rinsing. The opening mechanism is simply to use and cassette can be closed easily. 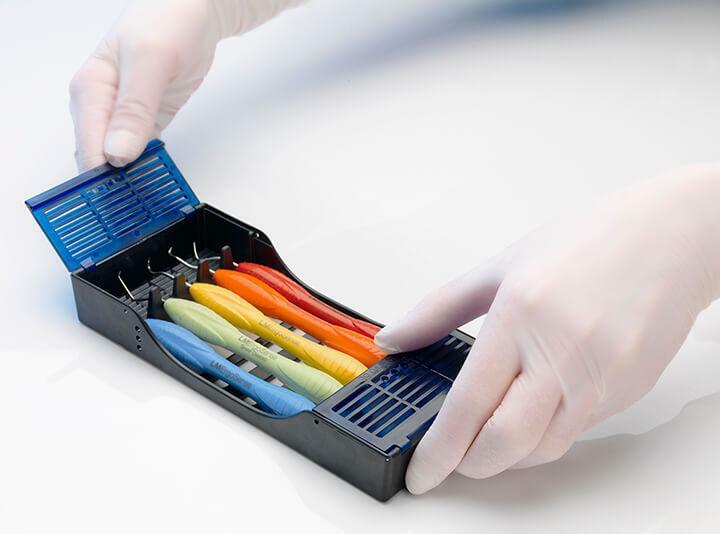 Additionally Servo E cassettes have an improved locking for more reliable fastening and integration to ServoMax tray (LM 6410) with a special lock (LM 6417). The new LM-Servo E cassette series is available with built-in RFID tagging. 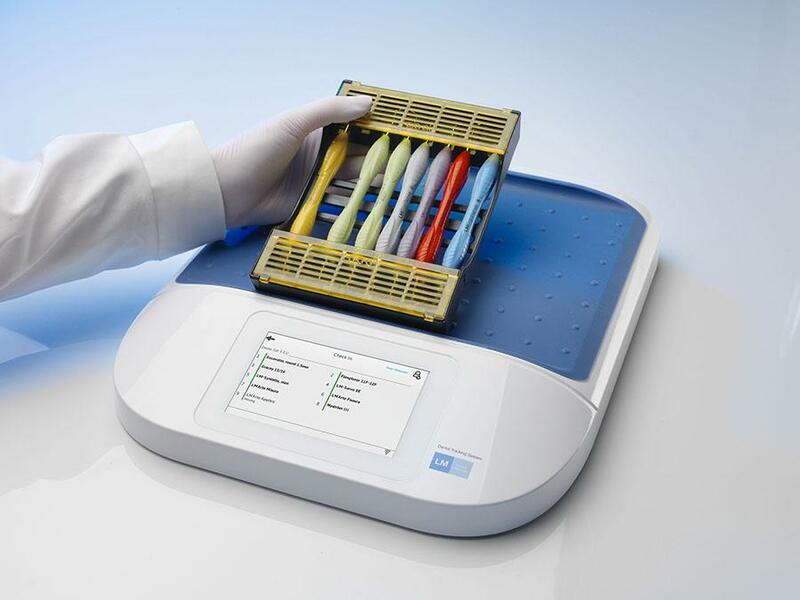 This option enables complete and reliable traceability with unique LM Dental Tracking System™. Colored safety shield covers and places for silicone LM code buttons (LM 6000-6005) – both at the sides and on the cover of the cassette.